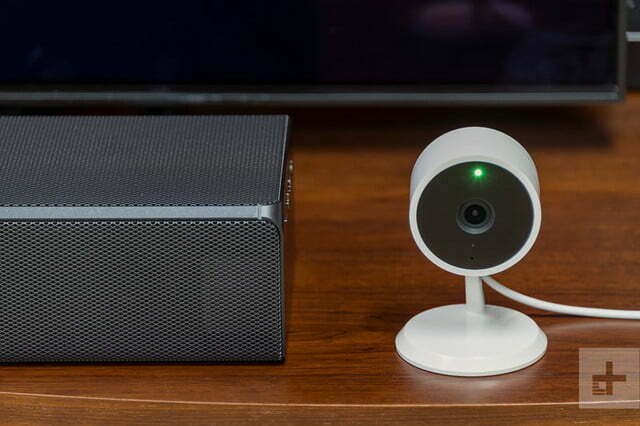 Amazon’s Cloud Cam delivers the best at-home video security for the money. 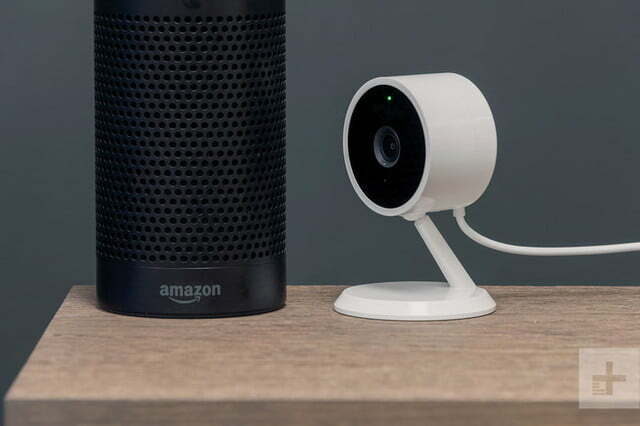 With a line of home-centric devices like the iconic Echo speaker and Fire TV, it was only a matter of time until tech giant Amazon dipped a toe into home security. Turns out that Seattle’s tech giant has bypassed the toe dip and dove right in with the Amazon Cloud Cam, an indoor security camera. We had a chance to test it out to see if its night vision, two-way audio, and smart motion detection can stack up to more expensive cams. 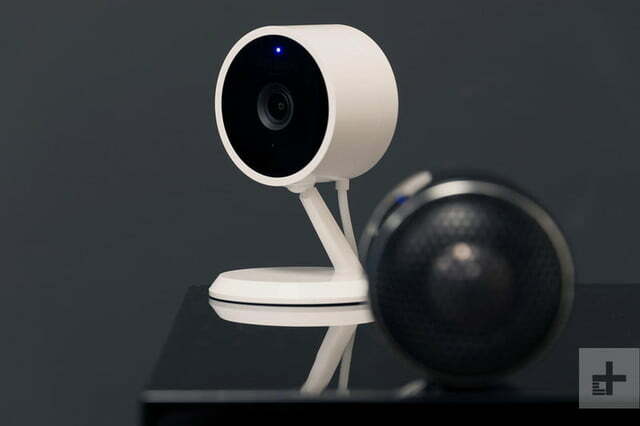 At $119 ($200 for a two-pack or $290 for a three-pack), the Cloud Cam directly competes with the likes of the $199 Nest Indoor Cam in the increasingly crowded smart security camera market. It can stand alone as a camera, or you can spend an extra $20 on a version that works with Amazon’s Amazon Key service, where Amazon delivery drivers deliver packages inside your house. Some of us are a bit afraid to test out this service, to be honest, but you can purchase a Cloud Cam now, then integrate it with Amazon’s Key service later. If you do that, you’ll need this replacement power cable, which Amazon says is the only difference between the $120 stand-alone Cloud Cam, and the Cloud Cam that comes as part of the Key bundle. As with all Amazon gadgets, the Cloud Cam arrives in efficient, hassle-free packaging. In the box you’ll find the Cloud Cam itself, a USB wall adapter, nine-foot USB power cable, a mounting plate, and wall-mount hardware. Everything in the box feels especially well made, right down to the USB power cord, which is stout and outfitted with a 90-degree micro-USB connector to ease any strain on the Cloud Cam’s power port. The Cloud Cam itself is lightweight, but feels solidly constructed, thanks in part to a strong and nimble ball joint which affords flexible camera placement and a generous amount of pivot and tilt for the perfect aim. The Amazon Cloud Cam is remarkably easy to set up, which is essential to compete with the dead-simple Nest Cam IQ indoor camera. You’ll need to download the Amazon Cloud Cam app, then connect to the Cloud Cam via Bluetooth. After plugging in your Wi-Fi password, the Cloud Cam will be up and running. The Amazon Cloud Cam is remarkably easy to set up. From there, we suggest taking some time to adjust some settings. The most important of these may be the notifications settings, which allows you to be notified in real time any time the camera detects motion and records a video clip, or in 10-, 30-, 60-, 240-minute increments, as well as daily or never. We also suggest playing with the motion sensor sensitivity. Amazon expresses sensitivity in terms of detecting a human-sized objects in motion at 20, 10, or five feet, from high to low, respectively. Try starting with the medium setting and then perform some tests to see if movement in the far reaches of the room are still captured at the moderate setting. As you’ll read below, we found the camera to be extremely sensitive — possibly even too sensitive. 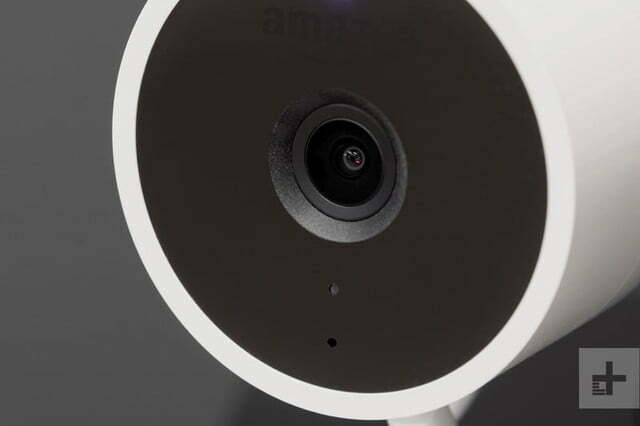 Amazon’s Cloud Cam captures a wide 120-degree view with a sensor that records 1080p resolution at 30 frames per second. For the overwhelming majority of our testing, the Cloud Cam delivered pristine video – but it depends on conditions. In our testing studio with ample daylight and office lights blazing, the video quality was excellent. But do how often do burglars barge into fully fluorescent-lit rooms? At dusk with only a few lamps on, the Cloud Cam’s frame rate and resolution dropped, resulting in somewhat blurry images when people moved quickly across the room. In total darkness, night vision delivered surprisingly crisp results, with faces and patterns on clothing clearly distinguishable. We wish this mode kicked in at slightly less dim levels. And while footage of the Cloud Cam was initially only viewable via the app, now you can view on a computer screen as well. 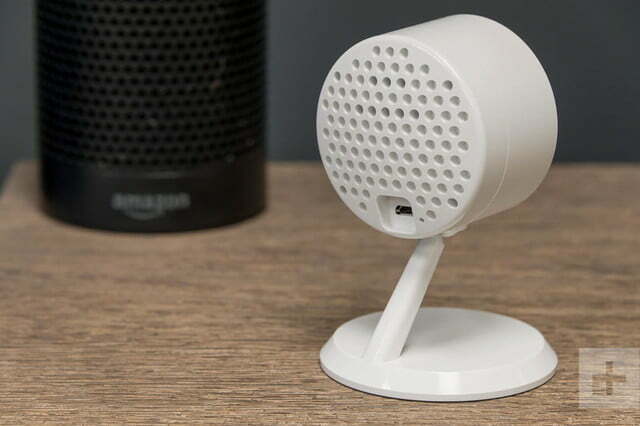 The Amazon Cloud Cam offers two-way audio, meaning it not only records, it lets you speak to people on-camera from afar using the app. We spooked one of our kids as we caught him in the act of trying to sneak too much Halloween candy — you can only imagine how surprised he was to hear a voice of warning. Of course, Amazon probably has more conventional scenarios in mind, like talking to an Amazon delivery driver as they enter the home to drop a package (“Please don’t let the cat out!”). The Cloud Cam’s microphone is surprisingly sensitive, and picked up raised voices from across our small home while delivering crystal clear audio for even low-level in-room conversations. Its speaker isn’t nearly as advanced, but it’s fun to use. Out of the box, the Cloud Cam stores up to 24 hours of footage, but you’ll need to subscribe to a premium tier to unlock more storage and a number of vital functions. Basic, Extended and Pro plans boost your storage to 7, 14, and 30 days, for $7, $10 and $20 a month, respectively. They also unlock some important features, like person detection to cut down on unwanted alerts from pets, zones for blocking out motion triggers like a car driving by an open window, and perhaps most importantly, the ability to download videos. …you’re not going to be satisfied with the free tier. Many competitors also charge for these perks, since they require active cloud services to run. Nest, for instance, charges $10 a month for its most basic Nest Aware program, which includes 10 days of storage, and $30 for an Extended account with 30 days. On that scale, Amazon is the more affordable pick. You should definitely factor these costs into your purchase decision, because you’re not going to be satisfied with the free tier. 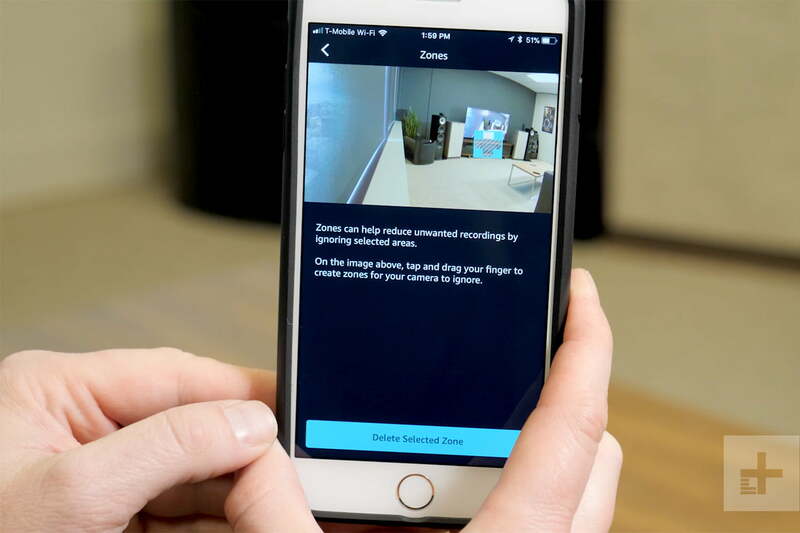 We found features like zones absolutely essential to prevent alerts from driving us crazy, and person detection uses Amazon’s advanced cloud-based algorithms to distinguish moving objects like ceiling fans and pets from people, increasing the accuracy with which the Cloud Cam is activated. While we wish downloadable video clips were available for non-subscribing Cloud Cam owners, that is our singular complaint. The Cloud Cam performed almost flawlessly during our evaluation, providing crisp video, two-way audio communication, highly customizable settings, and a fun user experience. Though video quality faltered in that awkward region between low-light and darkness, this is par for the course with security cameras, and doesn’t affect our opinion of the device, or our score. A one-year limited warranty and service are included. Optional one-year, two-year, and three-year extended warranties are sold separately (only to U.S. customers) for $12, $15, and $18, respectively. 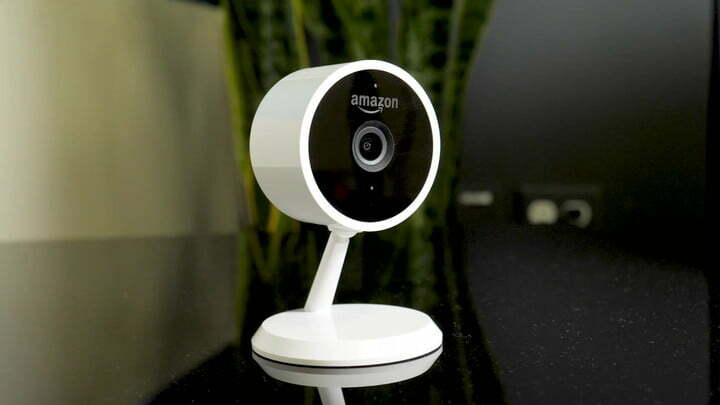 The Amazon Cloud Cam is easily one of the best values in DIY home security. With nothing more than Wi-Fi and a wall outlet, anyone can quickly set up one more of these devices. The Cloud Cam offers more out of the box for free than its toughest competitors, and the additional features afforded by even its most modest subscription tier are well worth the added cost. 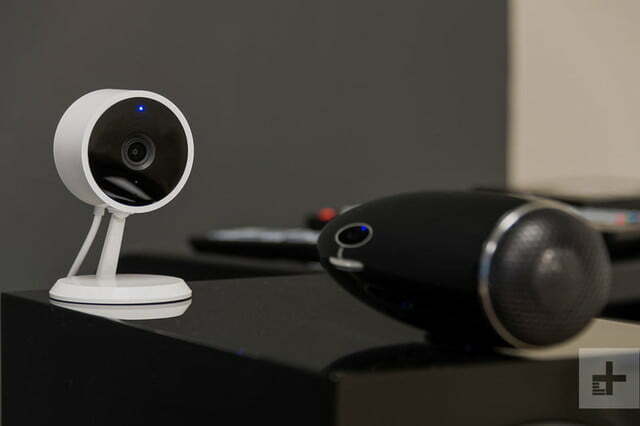 With the Amazon Cloud Cam, you simply get more at-home security for your money. When it comes to home security cameras, the Nest Cam IQ is considered the one to beat, and now has supreme zoom and enhancement capabilities, thanks to a 4K sensor. At $299, it’s more than twice as expensive than the Cloud Cam, though. Netgear just announced the Arlo Pro 2, but it’s $229 — without the required base station included. 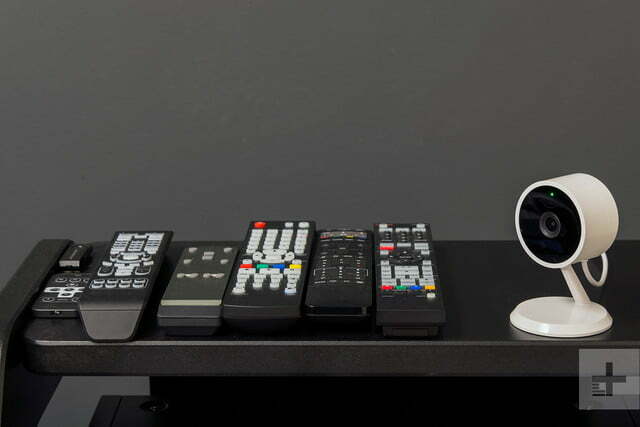 The Logitech Circle 2 offers lots of mounting options and is both Alexa and HomeKit enabled. At $180, it’s cheaper than the Arlo Pro 2 but still more than the Cloud Cam. If you’re looking to go way, way cheaper, the $20 WyzeCam is almost too good to be true, though it comes with limitations like a 12-second cap on recorded clips. Given Amazon’s ability to improve the Cloud Cam through firmware updates to its system-on-chip architecture, the device should last well into the future and only get more capable over time. Yes. 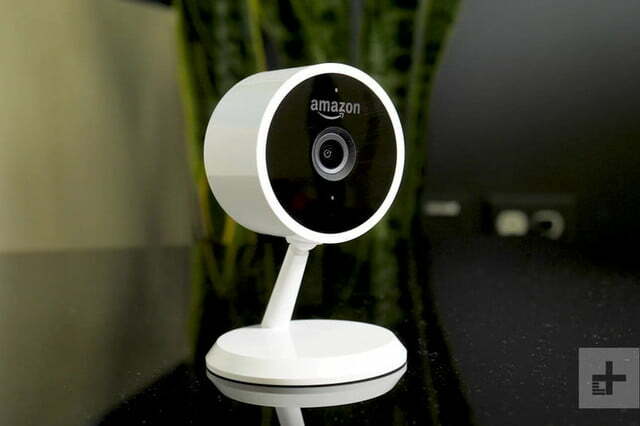 If you’ve been wanting a simple wireless at-home indoor video security system that won’t break the bank, the Amazon Cloud Cam is an excellent choice that’s loaded with features. 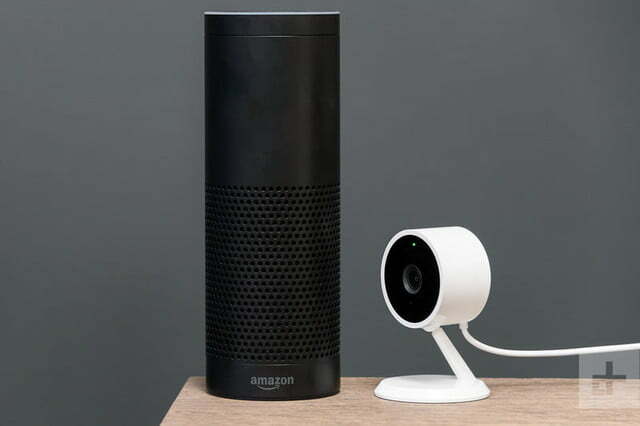 Updated March 2018 to add additional details on integration with Amazon Echo devices and the ability to access video footage via a computer screen.